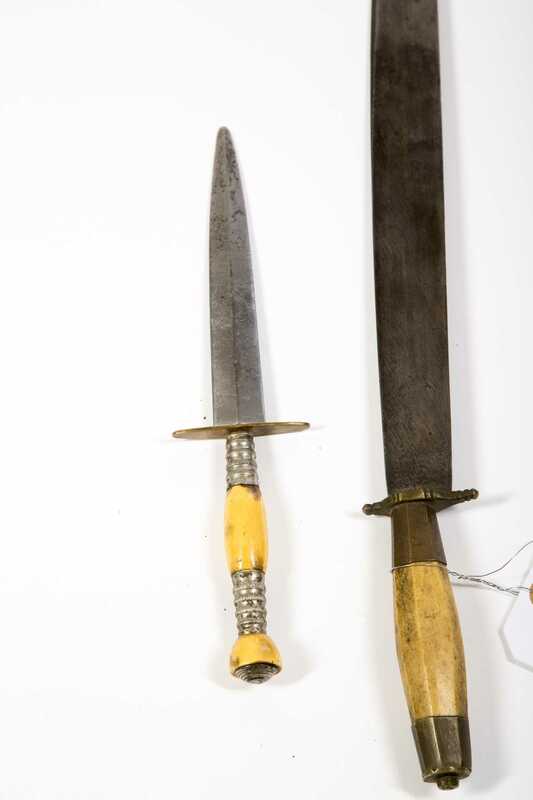 Two Nice Spear Point Daggers. One has horn grip. 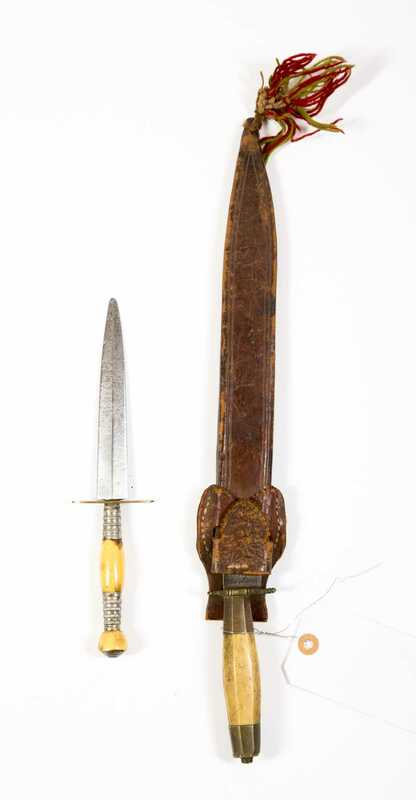 One has leather sheath (worn). Ca: 1890. Blade Ln: 5.5" & 12". Loa: 10" & 17".